Do you ride your bike on weekends only? Do you sometimes go several weeks without using your vehicle? If so, you will need a maintenance charger to keep your lithium battery charged. Even when not running, your vehicle will draw power from the battery to power ECU memory, clocks, and other devices. Well, that power is coming from the battery, and sooner or later, the battery will get drained. That is where the Pacemaker comes in. Pacemaker is fully automatic, ensuring that your lightweight battery is always properly charged. LED indicator lights alert you to the state of charge of your system at a glance. 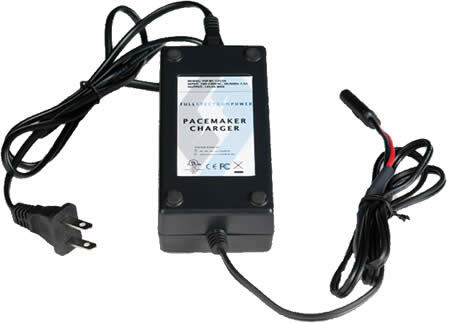 The Pacemaker charger will work with all Full Spectrum Power battery systems as well as most other 12v lithium lightweight motorcycle batteries.